Looking to start my new project soon and have decided to replicate a mini sprint. I have a shell but am wondering if anyone hs any experience of doing a roof chop and if so any advice or how tos? There is a lot more to converting a mini into a sprint than just the roof. 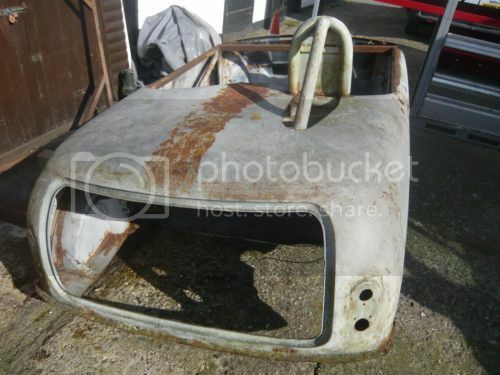 Its taking a section of the bodywork out all round as well. Just know that there is ALOT of work involved as you need to change the size of the roof panel to make it fit which usually involves chopping the roof skin into several pieces and then stitching it back up with pieces added. There is a member on here called CHOP who has done this. His build thread can be found in the projects section. Edited by sledgehammer, 08 February 2015 - 04:36 PM. What's your meal working background? Making a sprint essentially requires the shell to be cut into 3 different sections and then material is removed from the roof and body line. I've been collecting photos of Sprints mid chop for a while as reference for one I want to do latter this year. The pictures bellow are of one Neville Trickett did that I found via google. Call Andy at Rust and Repairs, hes one of our traders, hes done this, ive seen his work, its good. Mart. i have also decided to have a go at building a sprint,, i have opted to build a BMC sprint as they kept the roof gutter, and i perfer that look..
Edited by sledgehammer, 15 December 2017 - 11:45 AM. Is taking some time as only get an hour or so a week. Hats off to this work! Mega work for a mega reward. Sealed Holes In Floor And Boot Floor?